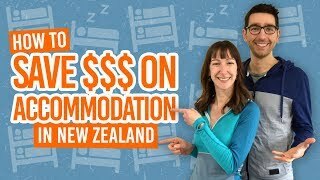 Keep safe when travelling in New Zealand. Good news! New Zealand is generally a very safe place to travel. It’s not riddled with disease and doesn’t have a billion animals that can kill you. In fact, there are no deadly animals, unlike New Zealand’s Down Under brother, Australia. If you do get into bother, there are very capable medical facilities. Crime rates are low too, but it’s always smart to use common sense to look after yourself and your belongings. Common sense and some outdoor safety awareness will be your best friend in New Zealand. We’ll go through the basics in this article. Quick and painless! 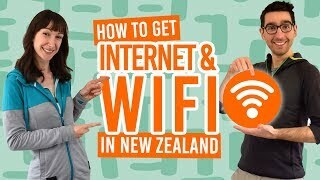 What is New Zealand’s emergency number? In New Zealand, the emergency phone number to contact the Police, Ambulance and Fire services is 111. New Zealand has one of the highest skin cancer rates in the world, just after Australia. That’s because the hole in the ozone layer is above Australasia, which gives New Zealand some of the strongest levels of ultraviolet (UV) radiation. This means you will start to burn within 15 minutes of being in the strong New Zealand sun. Bad times! Apply high factor suncream (SPF 30+) regularly when exposing your skin to the sun, especially in summer. Even on a cloudy day, that sun can get you! Drink plenty of water to avoid dehydration and sunstroke. Learn more about the weather in What is the Weather Like in New Zealand? The safest option is to not hitchhike. Like anywhere, there are some untrustworthy individuals you don’t want to get in a car with. However, hitchhiking in New Zealand is legal and, sure, a lot of people do it. Hitchhiking is popular in the more “touristy” areas, like Queenstown, Wellington and Christchurch. It is more effective for travelling short distances. 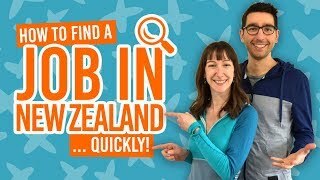 For more information, head to Hitchhiking in New Zealand or consider one of the alternatives to hitchhiking like the Kiwi Experience bus where you can hop-on and hop-off the bus anywhere along selected routes. Don’t leave valuable items on display, whether in your car or accommodation. Lock bags/backpacks in the boot (trunk) of your car, so they are out of sight. Don’t leave your bag unattended in a public place. Keep a record of description and serial number of valuable items. Report stolen items to the nearest police station. Keep your passport and important documents and their copies separate. Oh yeah, make copies of important documents! Whether you’re going for a swim or taking part in one of New Zealand’s awesome water activities, it’s important to not drown – very important. Some of New Zealand’s busiest beaches are patrolled by life guards in summer. Swim between the flags on these beaches. When looking for a beach to swim at, it is worth reading up on the beach or asking at the local information centres to find “safe swimming” beaches. If heading out on a boat, make sure you wear a life jacket and follow the Boating Safety Code in New Zealand as outlined on the AdventureSmart website. Don’t underestimate the power of rivers: choose your swimming spot carefully. Never go swimming alone. If looking for a jump spot, get in the water first to check the depth. For more safety tips for New Zealand rivers, check out the river safety advice given by the New Zealand Mountain Safety Council. The ski season can be pretty awesome in New Zealand. It’s more awesome when you’re not a danger to yourself and everyone around you! Wear appropriate ski gear (ski jacket, salopettes/ski pants, helmet, gloves, ski socks and base layers). Stay in control by knowing your ability. You need to be able to stop and avoid other people before hitting the slopes. People in front have the right of way. Obey the signage in the ski area. If involved or witness an accident, stay at the scene to identify yourself to ski patrol. Check out more tips on the Snow Safety Code by AdventureSmart. There are so many stunning New Zealand landscapes that can’t be missed! Hiking (or tramping, as Kiwis would say) is a great way to explore the land – and yourself, if you want to get deep about it. But you should always be prepared by taking the right clothing and equipment with you. We’ve got you sorted in our 9 Tips to Prepare for a Multi-Day Hike! You can also check out the Outdoor Safety Code at the AdventureSmart website. Hell no! However, you must meet the health requirements of your visa. The working holiday visa requires holders to have medical insurance for the duration of their stay in New Zealand. Medical insurance is a must, as the medical services in New Zealand are not free for visitors. Because searching for decent working holiday medical insurance is a chore and a half, we did the work for you: check out the New Zealand-based OrbitProtect for medical insurance for budget travellers and working holidaymakers. Some visas, like the working holiday visa extension for UK citizens, may require you to obtain certificates by having a medical check. Don’t drink and drive! There are laws against all that. There are the occasional reports of drinks being spiked, so be aware of your drink at all times and don’t accept drinks from creepy strangers. It is against New Zealand law to use, possess or sell any illicit drug! Wear a condom to protect yourself from STDs including HIV.